Anon. 2017. A Mind at Work: Urbano Monte’s 60-Sheet Manuscript World Map. Stanford, Calif.: David Rumsey Map Center, Stanford University, and Barry Lawrence Ruderman Antique Maps. Akerman, James R., ed. 2017. Decolonizing the Map: Cartography from Colony to Nation. Chicago: University of Chicago Press. Besse, Jean-Marc, and Gilles A. Tiberghien, eds. 2017. Opérations cartographiques. Paris: Actes Sud ENSP. Bier, Jess. 2017. Mapping Israel, Mapping Palestine: How Occupied Landscapes Shape Scientific Knowledge. Cambridge, Mass. : MIT Press. Brückner, Martin. 2017. The Social Life of Maps in America, 1750–1860. Chapel Hill: University of North Carolina Press for the Omohundro Institute for Early American History and Culture. Davies, John, and Alexander J. Kent. 2017. The Red Atlas: How the Soviet Union Secretly Mapped the World. Chicago: University of Chicago Press. Edelson, S. Max. 2017. The New Map of Empire: How Britain Imagined America before Independence. Cambridge, Mass. : Harvard University Press. Engberg-Pedersen, Anders, ed. 2017. 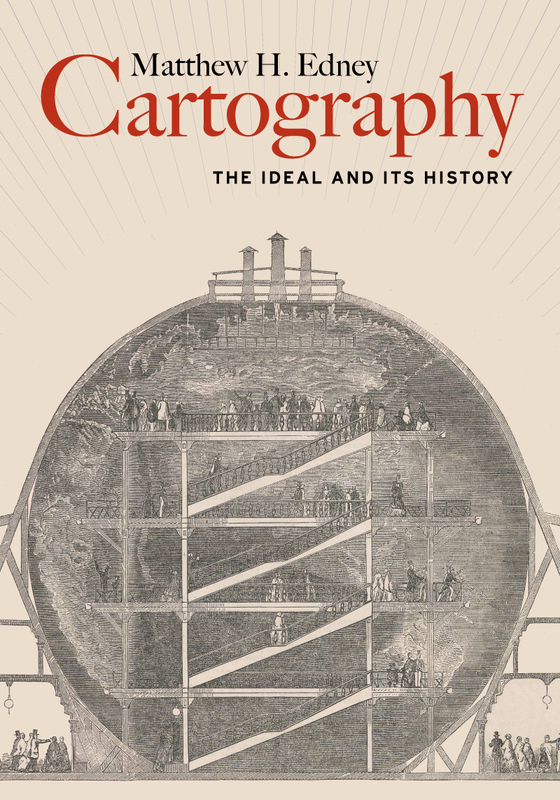 Literature and Cartography: Theories, Histories, Genres. Cambridge, Mass. : MIT Press. Foliard, Daniel. 2017. Dislocating the Orient: British Maps and the Making of the Middle East, 1854–1921. Chicago: University of Chicago Press. Hornsby, Stephen J. 2017. Picturing America: The Golden Age of Pictorial Maps. Chicago: University of Chicago Press. Johnson, Alexander James Cook. 2017. The First Mapping of America: The General Survey of British North America. London: I. B. Taurus. Lennox, Jeffers L. 2017. Homelands and Empires: Indigenous Spaces, Imperial Fictions, and Competition for Territory in Northeastern North America, 1690–1763. Toronto: University of Toronto Press. Louis, Renee Pualani. 2017. Kanaka Hawai‘i Cartography: Hula, Navigation, and Oratory. Corvallis: Oregon State University Press. Monmonier, Mark. 2017. Patents and Cartographic Inventions: A New Perspective for Map History. Cham, Switz. : Palgrave MacMillan. Ramaswamy, Sumathi. 2017. Terrestrial Lessons: The Conquest of the World as Globe. Chicago: University of Chicago Press. Ramírez-Weaver, Eric M. 2017. A Saving Science: Capturing the Heavens in Carolingian Manuscripts. State College: Pennsylvania State University Press. Van Duzer, Chet, and Lauren Beck. 2017. Canada before Confederation: Maps at the Exhibition. Wilmington, Del. : Vernon Press. Withers, Charles W. J. 2017. Zero Degrees: Geographies of the Prime Meridian. Cambridge, Mass. : Harvard University Press. I know that there were many more books on map history that were published in 2017. These are just the ones that I took note of and that appealed sufficiently to me to buy (or, in the case of Stanford’s publication re Urbino Monte’s huge manuscript world map of 1587, to keep). So many of these books are excellent and innovative. I am hard pressed to decide which I like most. Hornsby’s account of pictorial maps was long awaited and defines an entire genre that has been largely overlooked by map historians. Edelson, Lennox, and Johnson all address different aspects of the British mapping of colonial North America, a subject that is near and dear to my heart. Edelson’s New Map of Empire is, in particular, a major advance on the standard, triumphal narratives of colonial mapping and the conquest of America and its natives; Lennox negotiates between the maps and the written accounts produced by the English in New England and London, by the French in New France and Paris and also by the Acadiens, and by both the Abenaki and the Mi’kmaq to completely rewrite the history of Nova Scotia/Acadia/Mi’kma’ki without relying on nineteenth-century spatial conceptions. I love the full-color design of Kent and Vujokovic’s Red Atlas, which analyzes the Soviet mapping of Britain; the insights offered by Monmonier’s foray into patents for map-related technologies; the corrective of Withers’ history of the greatly misunderstood topic of prime meridians; and the gorgeous theoretical complexities of the intersections of graphics and word celebrated by Engberg-Pedersen’s huge compilation. But if push came to shove and I had to select my most favoritist book from the list, then I would be torn between Brückner’s analysis of commercial geographical mapping in the U.S. before 1860, and Ramaswamy’s history of the globe as an instrument of instruction, imperialism, and rationalism in British India. Brückner’s masterpiece completely rewrites the established accounts of commercial U.S. cartography in the early nineteenth century (such as they are). 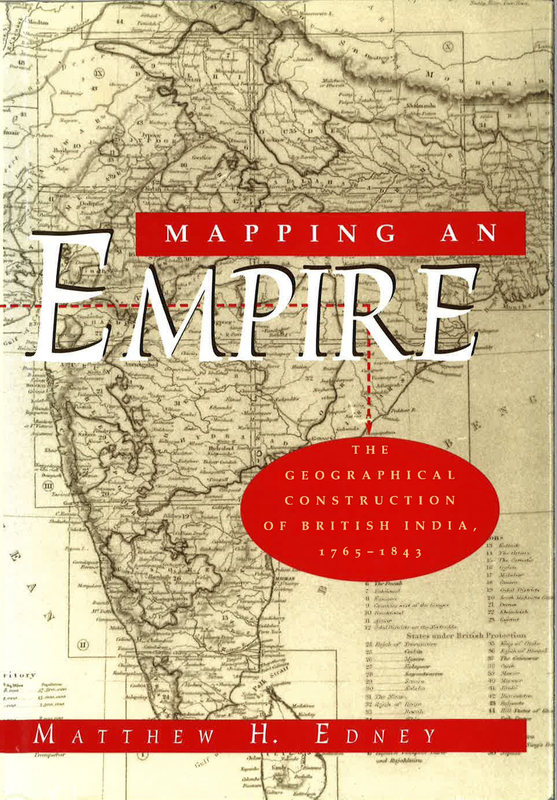 And Ramaswamy continues her incredible, intricate work exploring how British/Western concepts of space and maps were variously adopted, appropriated, resisted, and reconfigured—but never simply copied or accepted—by South Asians both during and after British imperial control. There are more books due in 2018 that I’m looking forward to. Which, I wonder, will surprise me? My apologies to Mario, Chris, and Johanna for their omission from the original list.